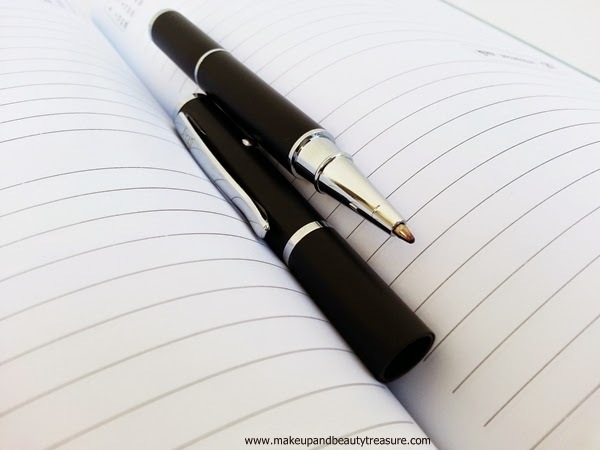 Being a beauty blogger, I always maintain a diary to note down my wish list, review list and few other lists. 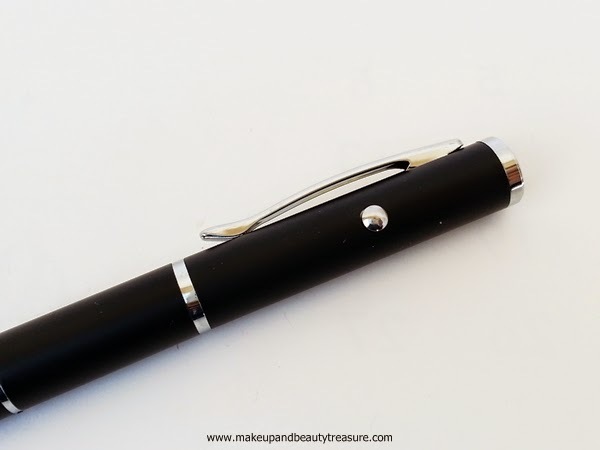 I love using premium pens and when I got this 3 in 1 device that contains stylus, pen and a laser, I was instantly impressed with this uniqueness and quality. 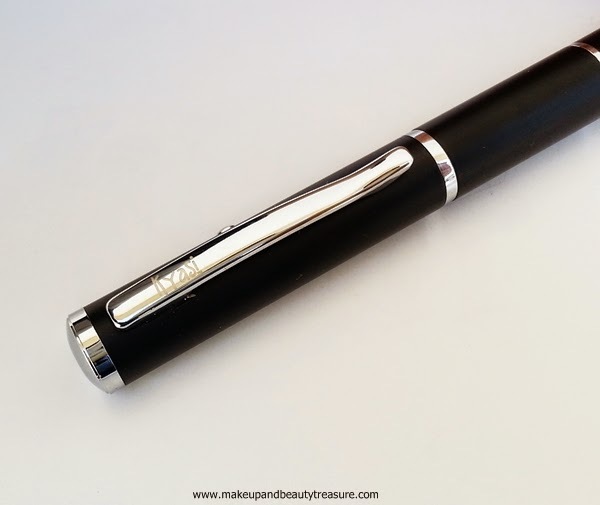 Today I am going to review Kyasi New York Stylus, Pen and Laser Gadget that would be a great gift for anyone. 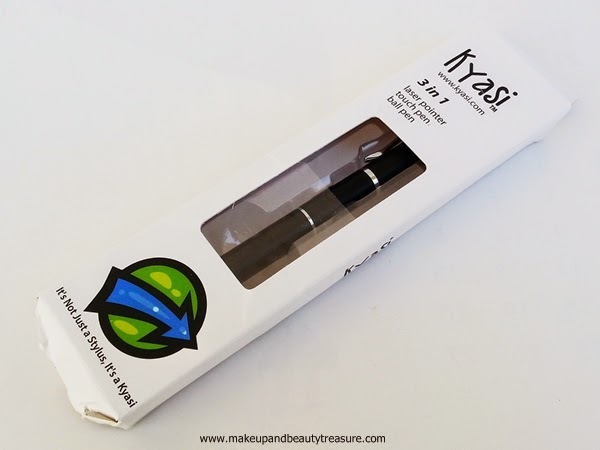 Kyasi New York Stylus, Pen and Laser come in a smooth white cardboard box packaging with all the information written at the back. There is a rectangular window at the front that allows you to see the color of the pen. The pen is nicely fitted into a plastic case that includes three small button batteries. It comes in 7 different colors- black, white, red, blue, purple, silver and dark green. The gadget is one of the finest combination devices in the world that includes 3 devices in one. The pen is made of 100% real brass. It is weighed to give a solid feel to it but feels very light on hands. It has super smooth finish and feels nice in hands. 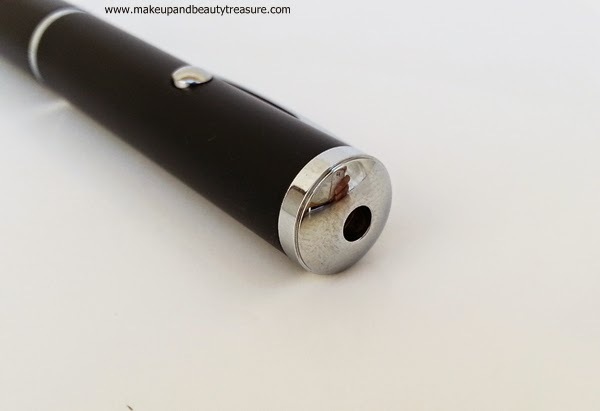 The top of the device is laser pointer with a small silver button at the side. You just need to unscrew the cap, insert the batteries with face down and you are ready to use the laser. Press and hold the button and you will see a red laser light released from the top of pen. It is amazingly powerful and is visible even in a well lit room. It is helpful in business presentations or when you need to point objects to someone. A word of caution: Never use a laser pointer towards the eyes as it might permanently damage your eyesight. The middle part consists of ball point pen. Just pull off the lid and you are ready to write. It contains German standard D1 ink pen refill that is available at every stationery store. 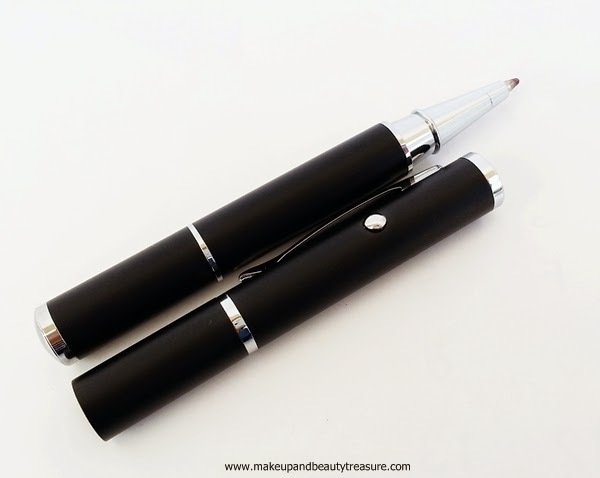 It gives a smooth ball point writing experience and feels very light in hands. You can easily change the refill by unscrewing the lower part of the pen. The stylus is the best part in this gadget. It is at the base of the pen and you need to pull off the lid to reveal it. 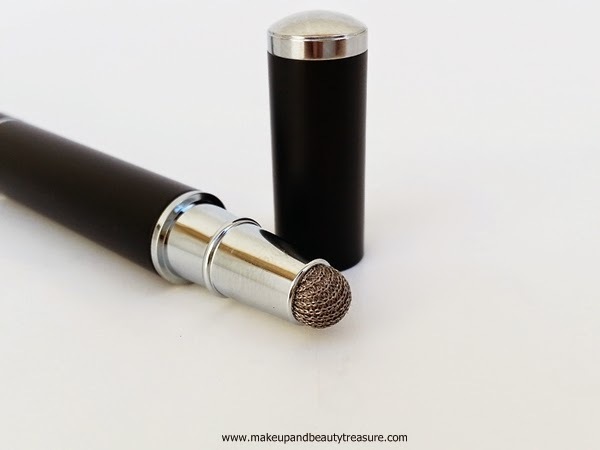 It is an incredibly high quality microfiber mesh tipped stylus that will work on any capacitive touch screen which includes 99% of tablets and smart phones plus other devices like GPS, Nintendo DS and many more. If you are like me who hate smudges or marks on screens then you will fall for it. It has smooth end that avoid any scratching on your tablet or smart phone. If you want a unique gift for your boss, dad, brother or your gadget junkie friend then this is a fantastic item for them. I had already gifted this fantastic pen to my dad and he is definitely impressed by its unique 3 in 1 concept. • A 3 in 1 device! • A very unique gift for anyone! 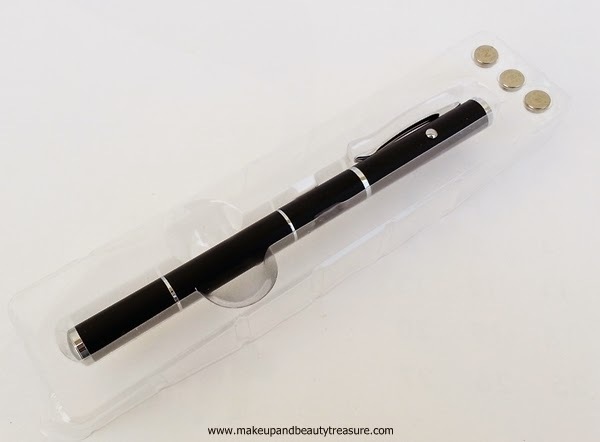 • Contains stylus, laser pointer and pen in a single device. • Made of high quality material. • Laser pointer is super bright and powerful. • Pen gives smooth writing experience. 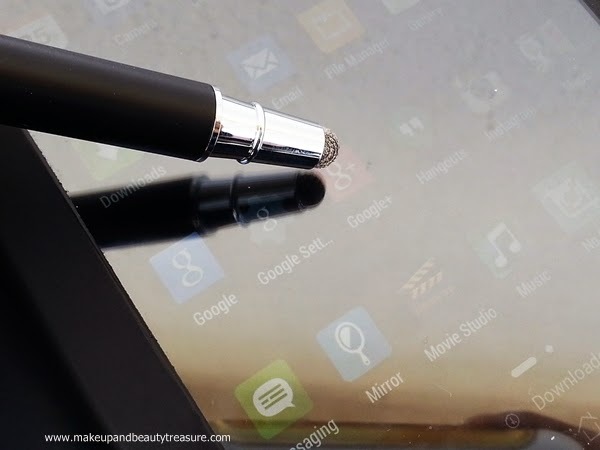 • Stylus is easy to use and does not cause scratches on screen. 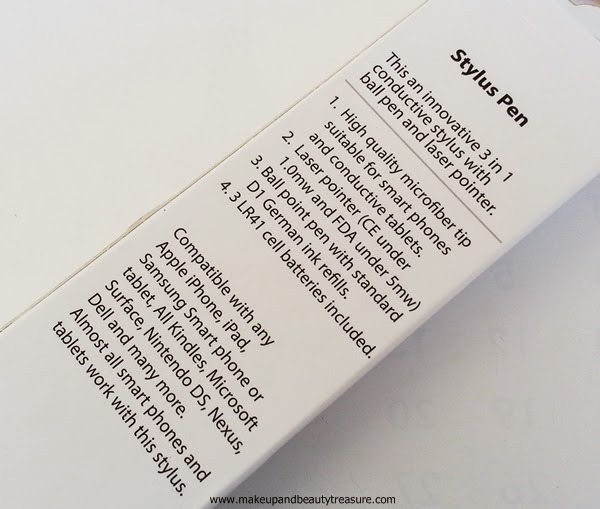 • Stylus works on almost all tablets and smart phones. • Comes in different colors. Kyasi Stylus Pen & Laser Combination Gadget is a high quality 3 in 1 device that contains stylus, laser pointer and pen. The stylus is made of microfiber material that would prevent your screen from smudging. 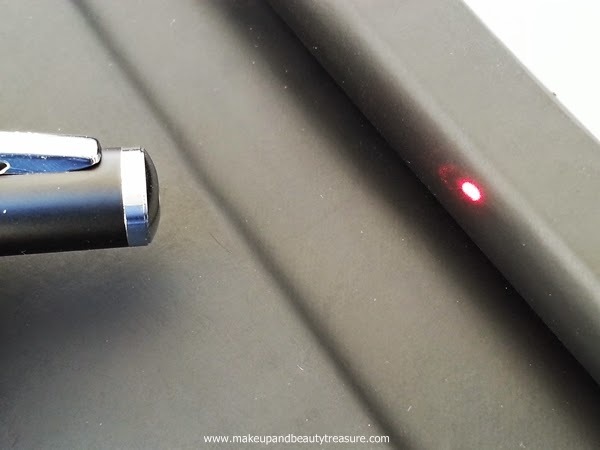 The laser pointer is super powerful and is visible even in a well lit room. If you are looking for a unique gift to your special or loved ones then I would highly recommend it to you! 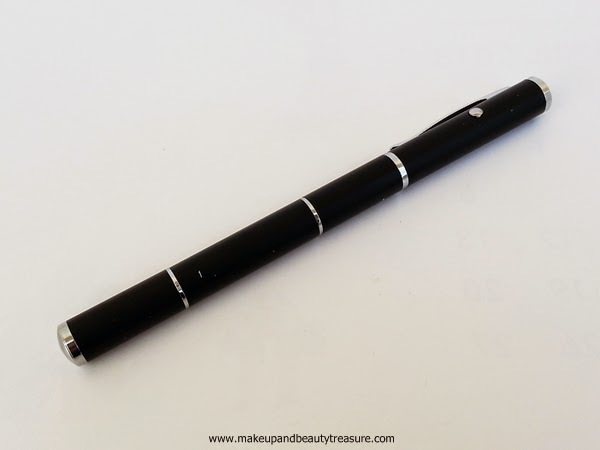 Have you tried Kyasi Stylus Pen & Laser Combination Gadget? Do you love such kind of gifts? Share in the comments section below!